It is an often repeated wisdom that moving homes can potentially be among the most stressful experiences that a person will go through life. Moving homes comes with a lot of emotional baggage for all, and it means radical changes in one’s life. 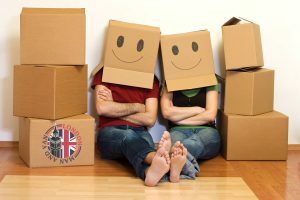 As a result of all the pressure, nearly a third of all people who have carried out a domestic relocation report feeling a different degree of post-removal depression. The only way to avoid that is to take conscious steps to relieve the strain that you and the members of your household will have to deal with during the preparation, execution of your project, as well as the days immediately following the completion of the job. Once you lock down the date, you will know how much time you are going to have and will be in a position to create a schedule to which you have to stick to. Guarantee that your furniture and other goods are safe during transportation by packing them properly. If you do not feel up to the task yourself, look for dependable packing services in London. Having professionals do the job will guarantee that it is handled properly, and you will be saved time and energy which would be better invested in other pressing matters on your moving schedule. Reducing the amount of time, manpower and the size of the vehicle that you hire might be a good idea. Just Go through your possessions and get rid of as much of them as possible – old clothes and furniture, appliances you will not need etc. Recycle or sell them online, or even think about donating or giving them to a friend/relative that you know will have a use for them. The fewer items you need to get moved, the less stress you will go through. If you have a family – partner, kids etc.- you should not forget that they must be going through the same thing that you do. Communicate with them and figure out ways to deal with the ordeal together. Not only will you be able to do a better job moving in this way, but you will go stronger in your relationship with them too. Throw a house warming party once you arrive at your new address. Banish depression or even just bad mood by letting your house soak in the good vibrations of having people you love gathered in it. In this way, the place will start feeling like home much sooner.